Who are your listening to? I don’t mean right this moment. I’m asking who you are following. Who is the final authority in your life? Whose voice are you obeying? Have you heard the voice of Jesus? Do you know his voice? Do you follow him? 1. THE GOOD SHEPHERD AND THE BAD! When we come to John chapter 10, we might miss the connection with chapter 9 about the healing of the blind man. Chapter 10 is a continuation of Jesus’ dialogue with the Pharisees that we find at the end of chapter 9. It might help for us to realize that John never wrote a verse. He never wrote a chapter. He wrote a book. And he wrote three letters — First, Second, and Third John — and he wrote the Book of Revelation. But he never wrote a chapter or a verse. What do I mean by that? I mean that the writers of the Scriptures never wrote verse numbers or chapter numbers. They simply wrote books under the inspiration of the Holy Spirit. Much later, the 66 books of the Bible were divided into chapters and verses. It was about 1000 A.D. that the books of the Bible were divided into chapters. The verse numbers were inserted in 1551 by a French printer named Robert Étienne. Thanks to the chapter and verse divisions, we can all find the same passage with ease. I can say that Jesus claimed to be the good shepherd in John 10:11, and you can verify that this is so. Chapter and verse numbers are very convenient. However, these divisions have led many to treat the Bible like a book full of individual sayings. People pull verses out context and treat them like lucky verses. And that is one of the reasons why some people don’t understand the Bible. That is not the way to read the Bible. That is not the way to read any book. That is not the way to read the newspaper. We don’t open a book and turn to any page at random and read a sentence from it and imagine that we can understand the sentence when we have not bothered to read the greater context, the paragraph, the chapter, or the book. When we receive a letter from someone, we read the whole letter, not just part of it. Let me make a statement that might surprise some. We must read the Bible the same way that we read any other book: we must read everything in context. The difference between the Bible and other books is that the Bible is the Word of God. It is to be read with reverence and humility and a readiness to obey it, for what the Bible says, God says. What we might not see right away is that chapter 10 is a continuation of chapter 9. Jesus healed a man who was born blind. Such a thing had never happened before in the history of the world. No person born blind had ever been healed of their blindness. The people wanted to know what it meant. So they took the man to the Pharisees. These were the religious authorities. They should be to explain the significance of such an event. But as the former blind man begins to see more and more clearly just who Jesus is, the religious authorities become more and more blind, refusing to see, refusing to understand, refusing to accept that Jesus is the Son of God. They insult the man and excommunicate him, kicking him out of the synagogue. Jesus said, “For judgment I came into this world, that those who do not see may see, and those who see may become blind.” 40 Some of the Pharisees near him heard these things, and said to him, “Are we also blind?” 41 Jesus said to them, “If you were blind, you would have no guilt; but now that you say, ‘We see,’ your guilt remains (John 9:39-41 ESV). “Truly, truly, I say to you, he who does not enter the sheepfold by the door but climbs in by another way, that man is a thief and a robber. 2 But he who enters by the door is the shepherd of the sheep. 3 To him the gatekeeper opens. The sheep hear his voice, and he calls his own sheep by name and leads them out. 4 When he has brought out all his own, he goes before them, and the sheep follow him, for they know his voice. 5 A stranger they will not follow, but they will flee from him, for they do not know the voice of strangers.” 6 This figure of speech Jesus used with them, but they did not understand what he was saying to them (John 10:1-6 ESV). In John 9, Jesus is confronting the false shepherds of Israel. 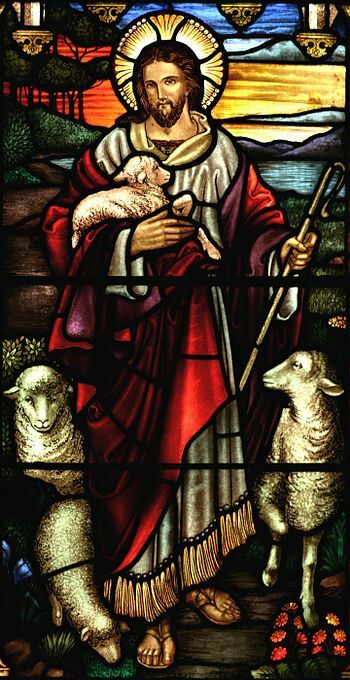 Sheep and shepherds were part of the life of Judea. Way back in the history of Israel, Abraham, Isaac and Jacob had flocks of sheep and goats. Jacob’s 12 sons were shepherds. In Egypt, the Israelites had their flocks of sheep and goats. King David had been the ideal shepherd, killing lions and bears to protect his sheep. We read in the Psalms “The Lord is my shepherd,” (Psalm 23) and “We are the sheep of his pasture” (Psalm 100). Then this message came to me from the LORD: 2 “Son of man, prophesy against the shepherds, the leaders of Israel. Give them this message from the Sovereign LORD: What sorrow awaits you shepherds who feed yourselves instead of your flocks. Shouldn’t shepherds feed their sheep? 3 You drink the milk, wear the wool, and butcher the best animals, but you let your flocks starve. 4 You have not taken care of the weak. You have not tended the sick or bound up the injured. You have not gone looking for those who have wandered away and are lost. Instead, you have ruled them with harshness and cruelty. 5 So my sheep have been scattered without a shepherd, and they are easy prey for any wild animal. 6 They have wandered through all the mountains and all the hills, across the face of the earth, yet no one has gone to search for them. 7 “Therefore, you shepherds, hear the word of the LORD: 8 As surely as I live, says the Sovereign LORD, you abandoned my flock and left them to be attacked by every wild animal. And though you were my shepherds, you didn’t search for my sheep when they were lost. You took care of yourselves and left the sheep to starve. 9 Therefore, you shepherds, hear the word of the LORD. 10 This is what the Sovereign LORD says: I now consider these shepherds my enemies, and I will hold them responsible for what has happened to my flock. I will take away their right to feed the flock, and I will stop them from feeding themselves. I will rescue my flock from their mouths; the sheep will no longer be their prey. 11 “For this is what the Sovereign LORD says: I myself will search and find my sheep (Ezekiel 34:1-11 NLT). The entire chapter of Ezekiel 34 is a rebuke of the false shepherds of Israel. In John 9 and 10, Jesus is rebuking the false shepherds of Israel, the Pharisees and Jewish authorities who had assumed their roles. They did not know God, and they did not care about the sheep. They were only concerned about their position and power. They despised the people, abused them, and called them accursed. They were righteous only in their own eyes, and trampled the people under foot. Jesus had healed the beggar who was born blind, but they wouldn’t believe it. They interrogated him, and when they weren’t satisfied with his testimony, they interrogated his parents. The parents were too afraid to talk because the Pharisees had already decided that they would put out of the synagogue anyone who confessed that Jesus was the Christ. They brought the beggar back in for more interrogation. But when he marshaled evidence that Jesus was sent from God, the Pharisees cursed him and put him out of the synagogue. So I will rescue my flock, and they will no longer be abused. I will judge between one animal of the flock and another. 23 And I will set over them one shepherd, my servant David. He will feed them and be a shepherd to them. 24 And I, the LORD, will be their God, and my servant David will be a prince among my people. I, the LORD, have spoken! (Ezekiel 34:22-24 NLT). God would set over them his servant David. When Ezekiel wrote these words, David had been dead for 400 years, but God had promised that David’s many times great grandson would reign forever and ever. This prophecy of Ezekiel points to Jesus, the Son of David. False shepherds: We find them in the Old Testament, in the New Testament, and we find them today. Whenever you find them, wherever you find them, they are all the same. They don’t care about the flock, the people. They only use the flock. They abuse the flock. They fleece the flock. All they care about is themselves. They are hungry for power, prestige, glory, and money. These religious authorities had abused the formerly blind man. They had excluded him from the synagogue. Jesus said that they were the ones who were blind and guilty. Now he illustrates their blindness in the first five verses of chapter 10. But verse six says that they could not understand what he was saying to them. They couldn’t see it. Of course not, they were blind. “Very truly I tell you Pharisees, anyone who does not enter the sheep pen by the gate, but climbs in by some other way, is a thief and a robber (John 10:1 TNIV). Jesus used this figure of speech, but the Pharisees did not understand what he was telling them (John 10:6 TNIV). So it is the Pharisees who do not understand. Jesus contrasts “the shepherd of the sheep” with the one who is “a thief and a robber.” What makes the difference? Verification is based on the method of entry into the sheepfold. The difference is whether you enter by the door or climb in another way. “Truly, truly, I say to you, he who does not enter the sheepfold by the door but climbs in by another way, that man is a thief and a robber. 2 But he who enters by the door is the shepherd of the sheep (John 10:1-2 ESV). So we have a sheepfold, a door, a thief and a robber, and a shepherd. We need to put this illustration back into its original setting before we try to interpret what Jesus means. Shepherding in Palestine was hard work. It meant a lot of walking to find green pastures. Abraham and Lot went their separate ways because there was not enough green pasture for their flocks. In Genesis 37, Jacob sends Joseph to find his brothers who had been gone for many days traveling many miles to find green pastures for their flocks. So shepherds would not return home with their flocks each night. But they had to protect their sheep from wolves and other night predators. But every village had a common sheepfold or a sheep pen where shepherds could keep their sheep. A gatekeeper was hired to care for the sheepfold during the night. The gatekeeper would shut the door or the gate and be on guard against animals or thieves and robbers who might come to steal or slaughter the sheep. The gatekeeper would not let others into the sheepfold; only the shepherd. So first we have the sheepfold. What does this represent? Some people think that the sheepfold represents the church. But that doesn’t really work because verse three says that the shepherd calls his own sheep by name and leads them out. So it does not make sense that Jesus would say that he is leading his sheep out of the church. Another idea is that the sheepfold represents heaven, but again, Jesus is not going to lead us out of heaven. Furthermore, it is quite impossible for thieves and robbers to climb in by another way! The shepherd knows his sheep. He calls them each by name. Isn’t that marvelous that the good shepherd knows his sheep and calls them by name? The good shepherd does not see us as a flock or a herd, but as individuals. He knows us and calls us by name. Such individual care. The sheep hear the voice of the shepherd. The Pharisees refused to recognize the voice of the good shepherd. The blind man recognized his voice. “Do you believe in the Son of Man?” Jesus asked him. “Who is he, sir, that I may believe in him?” Jesus said to him, “You have seen him, and it is he who is speaking to you.” The man recognized the voice of the one who had told him to go wash in the pool of Siloam. He knew the voice of the good shepherd. And I have other sheep that are not of this fold. I must bring them also, and they will listen to my voice. So there will be one flock, one shepherd (John 10:16 ESV). I am one of the other sheep. I am a Gentile. Jesus said that he had sheep that were not of the sheepfold of Judaism. He has Gentile sheep. He said, “I must bring them also.” He must. It is a divine necessity. It is the will and plan of God. One flock, made up on both Jews and Gentiles. Together as one body, Christ reconciled both groups to God by means of his death on the cross, and our hostility toward each other was put to death. 17 He brought this Good News of peace to you Gentiles who were far away from him, and peace to the Jews who were near. 18 Now all of us can come to the Father through the same Holy Spirit because of what Christ has done for us. 19 So now you Gentiles are no longer strangers and foreigners. You are citizens along with all of God’s holy people. You are members of God’s family. 20 Together, we are his house, built on the foundation of the apostles and the prophets. And the cornerstone is Christ Jesus himself. 21 We are carefully joined together in him, becoming a holy temple for the Lord. 22 Through him you Gentiles are also being made part of this dwelling where God lives by his Spirit. …Both Gentiles and Jews who believe the Good News share equally in the riches inherited by God’s children. Both are part of the same body, and both enjoy the promise of blessings because they belong to Christ Jesus (Ephesians 2:16-22; 3:6 NLT). Yes, there will be one flock with one shepherd (John 10:16 NLT). They won’t follow a stranger; they will run from him because they don’t know his voice” (John 10:5 NLT). Many sheep today are following strangers, but they are not the sheep of the good shepherd. The sheep of the good shepherd follow the good shepherd. They are led by Christ. They will not follow strangers. They will not follow modern day prophets. They will not follow false shepherds who lead people away from Christ. The sheep of the good shepherd run from strangers. They run from other voices. There are many voices that we hear today, voices claiming authority. Voices claiming to speak for God. Many sheep are led astray by these false shepherd, false christs, false teachers, and false prophets. How do you recognize strangers, false shepherds, false teachers, and false prophets? They have common characteristics. We can use the mathematical terms “addition, subtraction, multiplication, and division” to see how they work. First, false shepherds add other sources of authority to the 66 books of the Bible. The Pharisees added many traditions to the Word of God and Jesus condemned them for it. False shepherds add other so-called inspired books to the Scripture. They may quote from the Bible, but they always add something to “fix” the Bible. They put their teachings on the same level with the Word of God. They say that the Bible cannot be understood without their books to explain it. Some false shepherds have even admitted that people would not be able to hold to their teachings if they only read the Bible. Others say that their revelations recover many truths of the Bible. They say that their writings to be the authoritative key to understanding the Bible, that it cannot be understood alone. 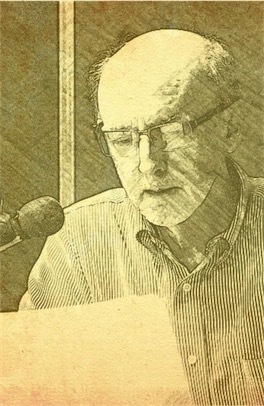 Curtis Crenshaw said correctly, “If anything is contrary to Scripture, it is wrong. If anything is the same as Scripture, it is not needed. If anything goes beyond Scripture, it has no authority.” The sheep of the good shepherd run from the voice of strangers. They will not follow those who add to the Bible. False teachers subtract from the deity of the persons of the Trinity. They may say that God was once just like us before evolving and becoming God. Or that we can become gods, or that there are actually many gods. Or they may say that Jesus was the first of all creation, that he was an archangel, denying that he is God. If Christ is not God, he cannot save us from God. Some deny the full deity of the Holy Spirit but the sheep of the good shepherd will run from these false shepherds because they know that their voice is not the voice of the good shepherd. False shepherds multiply works that are necessary for salvation. They say that what Jesus did on the cross is not enough to save us. They say that we must earn our salvation by paying for our sins now, by following certain formulas, or by our own diligent efforts. But the sheep that belong to the good shepherd, know that the good shepherd laid down his life for the sheep and that when he did so, he declared, “It is finished!” (John 19:30). False shepherds divide the Body of Christ by claiming to be the only true church. Since they add new revelation, subtract from the deity of one or more members of the Godhead, and multiply works that are necessary for salvation, they say that you must follow them since they are the only group that understands these things! They teach that salvation is found in their organization, not in Christ. But salvation is not accomplished by the church; it is accomplished by Christ. The church is simply the people of God, those who have been saved by Christ and function as his Body in the world. There are many different churches and denominations that faithfully proclaim the Bible and nothing but the Bible as the Word of God. Have you heard the voice of the good shepherd? The blind man heard his voice, worshipped Jesus, and followed him. He came out of Judaism. No religion can save you. No church can save you. Only the good shepherd who gives his life for his sheep. If you are following a false shepherd, the good shepherd is calling you to come out if you will but hear his voice. Have your heard the voice of the good shepherd calling you out?